Description: LeHo - Key educational factors for the education of children with medical needs" This document presents the results of the development of the definition of LeHo’s Key Educational Factors (KEF) for the education of children with a medical needs at home, in the hospital and in the mainstream school. 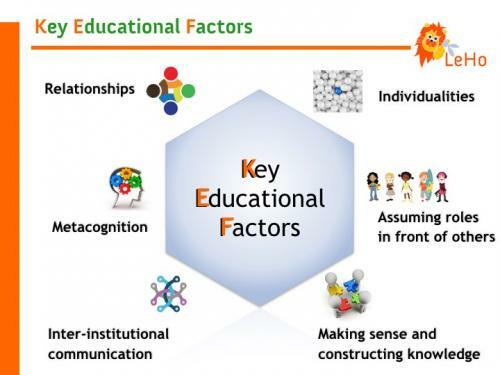 Notes: A review of the literature on key factors in education and in educational psychology was conducted and its Key Educational Factor (KEF) were outlined and organised into a limited number of categories. Subsequently, these factors were compared with existing literature on the education of children with a medical condition. The KEF were presented and discussed at the Hospital Organisation of Pedagogies in Europe conference in Bucarest in 2014.